Google's stock price recently took a hit, because the company was not able to meet the steep revenue growth targets that analysts had predicted. Macro-economic factors aside, is this cause for genuine concern or all part of the long term plan? A lot of analysts are uncomfortable with the fact that Google is perennially focused on investing in mobile platforms, like Android & Chrome, to drive future growth. The reason for their discomfort is that they believe these platforms will not generate the kind of revenues that justify those investments. Most analysts expect Google's mobile advertising revenues to roughly double next year, but with the rider that the average revenue per user (ARPU) is far lower for Android/mobile devices at about $7 as compared to about $30 for PCs. The obvious factor driving Google's focus on Android is the Post PC revolution. The upcoming launch of Windows 8 will be a trigger for the entire industry to start moving away from PCs to Tablets (most probably not on Windows 8). As dependence on PC usage decreases, Google's $30 ARPU from PC users is set to fall as well. 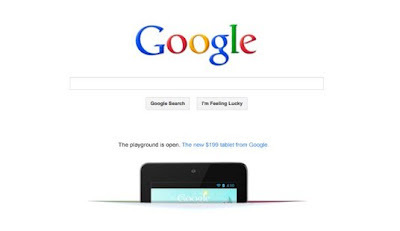 And obviously, Google couldn't afford to be reliant on PC users for revenue as these users moved to mobile platforms. Google'e mobile advertising revenues are driven by the installed base and not actual sales. This means that even in the case of minimal mobile device sales in a given year, Google's mobile advertising revenues would grow at least at the same pace as growth in ARPU. However, when we take into account the staggering growth in sales (over 50% for smartphones & 250% for tablets, in 2011), this growth becomes exponential (at least until the respective markets reach saturation). Today, it is true that the ARPU from mobile devices is lower that that for PCs. Now, ARPU is directly proportional to growth in user base & usage patterns. The one major mistake most analysts seem to make is to assume the same ARPU for both smartphones & tablets. This is problem for a few reasons - 1) the number of ad units displayed on a tablet are closer to a PC, as compared to a smartphone, 2) Users are far more likely to notice & click on ads on larger screens and 3) the usage patterns of tablet users are far more similar to PC users, as compared to smartphone users. It's possible that analysts have discounted the ARPU from tablets as smartphones far outnumber them today. But that is no reason to ignore that in projections, considering the huge growth projected for the tablet market over the next few years. This is also the primary reason for Google's focus on making a splash in the tablet market this year. Based on this, the ARPU from tablets would grow closer to $30, as Tablet usage begins to replace PC usage over the next few years. This would be a massive bump for Google's mobile advertising revenues and most predictions would be far below this adjusted figure. This is a little off topic, but still relevant to Google's mobile revenues. One of the reasons why the Android platform was criticized by developers was that proportion of apps purchased vs. free app downloads was very low. As the Android Market had a huge number of free apps, users were accustomed to finding free apps as opposed to considering paid apps. Google moved to correct this by merging all its paid content offerings, like Google Books, Music, Movies, etc. and the Android Market under one label - The Play Store. Now, as users pay for content under the other services, the stigma of buying an app from the same store is effectively reduced. As Google receives about 30% of the sales proceeds of any app, this should also help drive Google's mobile revenues. Conclusion - Keeping these factors in mind, it is clear that Google's missed analyst targets are merely a speed bump in its growth trajectory and I expect Google's revenues from the mobile segment to far outpace current analyst estimates over the next few years.